It’s high summer, good haying weather — and the mornings are foggy here in Northern New England. Though some of the nights this summer have been hotter than usual, this week we’ve got cool nights — so good fog. This photo is from a past summer morning; could be now but it’s not. I don’t think I’ve posted an infrared photo here for a while, and I haven’t been exposing quite so many recently. Funny. Well, here’s one. 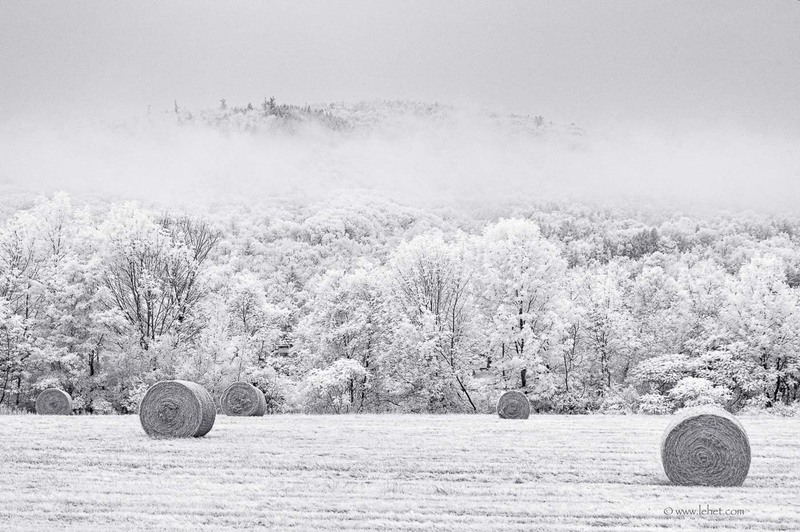 This entry was posted in black and white, hay bales, Infrared, New England, summer on August 7, 2012 by john lehet.